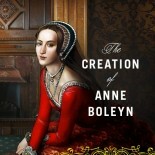 What if The Creation of Anne Boleyn was made into a movie? Who would make up Susan’s dream cast? Susan discusses her selections at My Book, The Movie. You can now listen to Susan’s interview with Sean Moncrieff, the host of the NewsTalk Radio show. Click to listen and learn more! On Thursday, April 11, 2013, Susan participated in an interview and call-in on the Reader’s Entertainment Radio show. You can listen to a recording of the event by clicking here.